Traumatic events can evoke a great deal of stress in people. There are many types of trauma that people endure which affect their health and well-being. A traumatic event or situation creates psychological trauma that often overwhelms the individual's ability to cope. 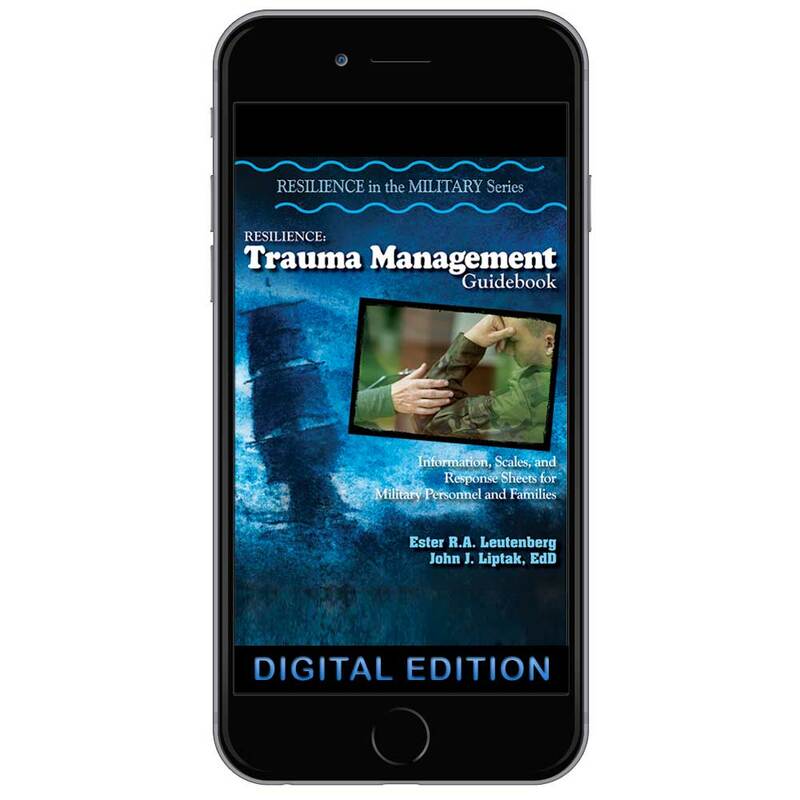 This guidebook is designed to help people involved with the military in any way, to learn specific skills that will allow them to manage their trauma, traumatic symptoms, and effects of trauma in their lives. This workbook will help people build resilience skills for times when they encounter traumatic situations related to past trauma, prevent the long term effects of these trauma symptoms, and learn to deal effectively with the effects of trauma when it does occur. MCA Digital provides a full library of educational materials and readily available content in digital format. Our digital books can be read anytime and anywhere through online access or by using your smart devices. Quickly and easily search your entire library for topics of interest, add new content to your library, and bookmark all of your favorite books. The content is fully interactive with a clickable Table of Contents for quick navigation, hyperlinks to recommended online resources, and other great digital features. MCA Digital also gives you the ability to print your content if preferred. Simply purchase your digital products and after checkout you will receive an instructional email on how to access your books online at the MCA Digital Website. All digital products purchased online at 4MCA.com allow you to specify the number of users you would like to have access the books and come with a full annual subscription plan. For other subscription plans, custom plans, and bulk purchases, please contact Sandy by email: sandy@4mca.com. Or by phone: 1.877.813.4MCA Ext. 104.